I bet you think you know the secrets to the perfect shave: one of those 7 blade self-gyrating plastic razors and some electric turqoise gel goop; It’s not your fault, you just havn’t come across Bare Knuckle Barbery yet. Oh, it’s the lather! And just as important as using natural shaving cream, is the vehicle for delivering it to your negleted man-skin. Bare Knuckle Barbery specializes in matching this notorius pair. Craftsman Tony Peterson has melded an eternal bond between his search for purity in pre-industrial ways of knowing – among other things – how to shave, and his skilled hand for woodworking. 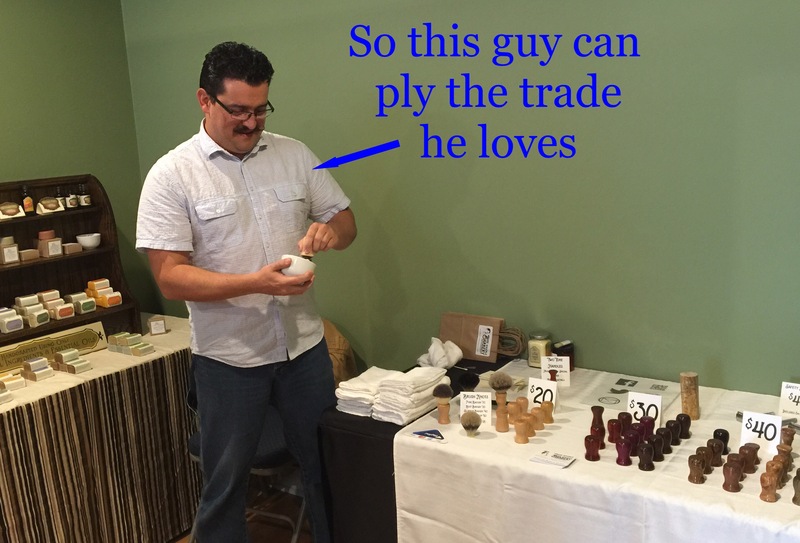 He carves, lathes and laqures shaving brushes made from ethically sourced wood coming from a variety of deciduous tree burles. 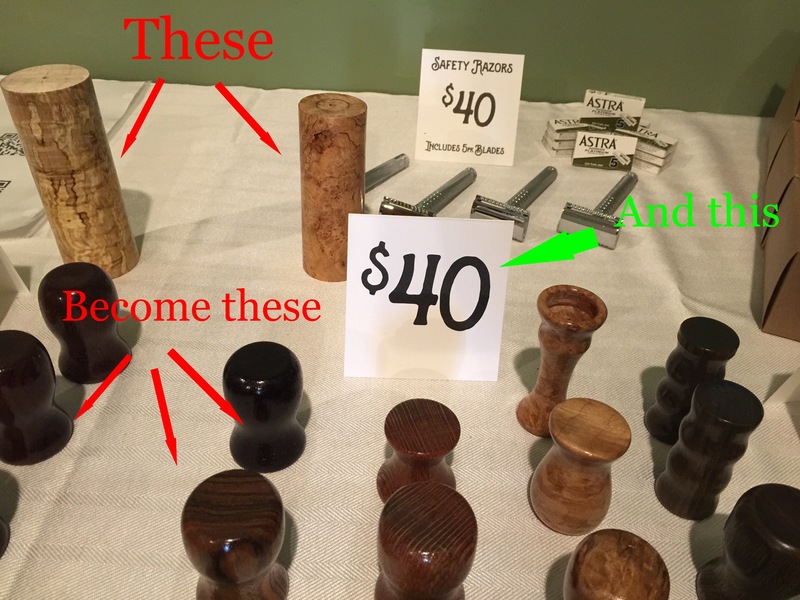 Bare Knuckle’s shaving brush menu includes maple, cherry, African leopard wood, and Brazilian lignum vitae; where my arborist geeks at? Peterson also affixes the brush fibers by hand, in sythetic and natural varieties. Interestingly, enough the natural fibers are imported badger hairs, used for their unique quality of being the only small mammal coat that absorbs water. Ladies don’t feel left out, these shaving products aren’t just for men either. You can shave whatever needs shaving, gently. In addition to shaving wares, Bare Knuckle Barbery also caries some pretty fancy wooden barrettes of curley walnut and tumor tree burle. Premium wood products do come with a price, at least you know these are loved and made with care. Even if you sport one of those fancy poop-catching beards, you still got to shave your neck once and awhile. A good shave is even more important to the relatively clean cut crowd, and for Dads it’s high time for them to finally start pampering their jawbones. 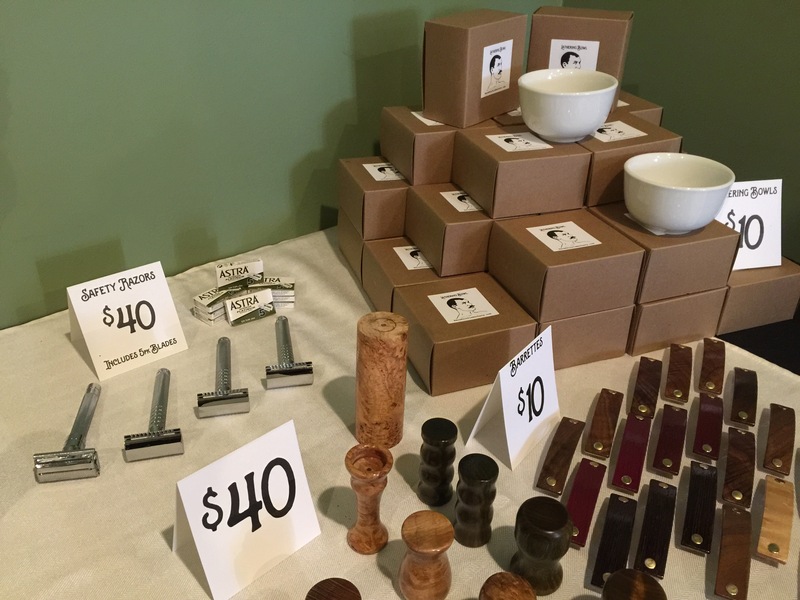 Bare Knuckle Barbery sets up about as far in the crannies as you can get, nestled in the back corner of the building that houses the thrift decore shop ReSource, sharing a modest space with Milwaukee Candle and Apocrathy on Vliet Street in Washington Heights. Both proprietors have online stores. This entry was posted on June 17, 2015 by L.S. Trolley. It was filed under Local Trolley .